American Medical Association. Resources on Infectious Diseases: August 3rd, 1999 Testimony on the Importance of Vaccination. 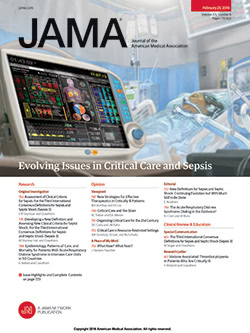 Available at: http://www.ama-assn.org/ama/pub/article/1826-2077.html. Accessibility verified May 7, 2002. Taylor H. Internet Penetration at 66% of Adults (137 Million) Nationwide. Harris Poll No. 18. Rochester, NY: Harris Interactive; April 17, 2002. Available at: http://www.harrisinteractive.com/harris_poll/index.asp?PID=295. Accessibility verified May 23, 2002. Taylor H. Cyberchondriacs Update. Harris Poll No. 21. Rochester, NY: Harris Interactive; May 1, 2002. Available at: http://www.harrisinteractive.com/harris_poll/index.asp?PID=299. Accessibility verified May 23, 2002. Pew Internet & American Life Project. The Online Health Care Revolution: How the Web Helps Americans Take Better Care of Themselves. Washington, DC: Pew Internet & American Life Project; 2000. Available at: http://www.pewinternet.org/reports/toc.asp?Report=26. Accessibility verified May 7, 2002. US Centers for Disease Control and Prevention. Six Common Misconceptions About Vaccination and How to Respond to Them. Atlanta, Ga: US Centers for Disease Control and Prevention. Available at: http://www.cdc.gov/nip/publications/6mishome.htm. Accessibility verified May 7, 2002. Golding J. Immunisations. In: Butler N, Golding J, eds. From Birth to Five: A Study of the Health and Behaviour of Britain's Five-Year-Olds. Oxford, England: Pergamon; 1986:295-319. Physicians' Desk Reference . 56th ed. Montvale, NJ: Medical Economics; 2002. National Vaccination Information Center. Parents and researchers call for action to end gaps in knowledge about autism and the vaccine connection [press release]. Vienna, Va: National Vaccine Information Center; April 6, 2000. Available at: http://web.archive.org/web/20011108093642/http://www.909shot.com/autismhearings.htm. Accessibility verified May 23, 2002. Context Individuals searching the Internet for vaccine information may find antivaccination Web sites. Few published studies have systematically evaluated these sites. Objectives To examine antivaccination Web site attributes and to delineate the specific claims and concerns expressed by antivaccination groups. Design and Setting In late 2000, using a metasearch program that incorporates 10 other search engines, we reviewed and analyzed 772 links to find 12 Web sites that promulgated antivaccination information. Analyzing links from these 12 sites yielded another 10 sites, producing a total of 22 sites for study. Using a standardized form, 2 authors (R.M.W., L.K.S.) systematically evaluated these sites based on specific content and design attributes. Main Outcome Measures Presence or absence of 11 Web site content attributes (antivaccination claims) and 10 Web site design attributes. Results The most commonly found content claims were that vaccines cause idiopathic illness (100% of sites), vaccines erode immunity (95%), adverse vaccine reactions are underreported (95%), and vaccination policy is motivated by profit (91%). The most common design attributes were the presence of links to other antivaccination sites (100%of sites), information for legally avoiding immunizations (64%), and the use of emotionally charged stories of children who had allegedly been killed or harmed by vaccines (55%). Conclusion Antivaccination Web sites express a range of concerns related to vaccine safety and varying levels of distrust in medicine. The sites rely heavily on emotional appeal to convey their message. Recent studies indicate that 66% of US adults (137 million) are now online and that 80% of all adults online use the Internet to look for health information.5,6 Furthermore, 52% of those who have visited online health sites believe that "almost all" or "most" of the health information they find online is credible.7 Individuals searching for vaccination information may find themselves visiting antivaccination sites. This study explored the content and design attributes of antivaccination sites that an individual might encounter doing a typical Web search, with the goal of enhancing our understanding of concerns raised on these sites. Using the Netlingo Dictionary of Internet Words (http://www.netlingo.com) and the Webopedia Online Computer Dictionary of Internet Terms (http://www.pcwebopedia.com), we defined a "Web page" as a single html file or document viewed on a Web browser and a "Web site" as a site (location) on the World Wide Web. Each Web site contains a "home page," which is the first document users see when they enter the site. Each site is owned and managed by an individual, company, or organization. A "link" (or "hyperlink") is an element in an electronic document that links to another place in the same document or to an entirely different document. Typically, clicking on a hyperlink will transport a user to another document or section of the document. Antivaccination Web pages were identified using Copernic 2000 v4.55a (Copernic Technologies Inc, Sainte Foy, Québec), an Internet search utility program designed to simultaneously submit searches on numerous search engines. We used 10 search engines: AltaVista, EuroSeek, Excite, Google, GoTo.com, HotBot, Infoseek, Lycos, Yahoo, and All the Web FAST Search, with up to 30 results returned on each engine for a maximum of 300 results per search. Two of the investigators (R.M.W., L.K.S.) jointly conducted 4 searches between August 3, 2000, and September 3, 2000, using the keywords vaccine, vaccinate, vaccination, immunize, immunization, immunise, immunisation, anti-vaccination, anti-immunization, and anti-immunisation. The initial searches identified 851 links to Web sites, of which 79 were invalid or duplicate links. The resulting 772 sites were reviewed together by both searchers to select those for study based on the criteria below. A Web site was considered for review if it contained content specifically opposing vaccination for human infants or children. The following Web sites were excluded: (1) online health/medical journals or newspaper sites, (2) listservs or newsgroups containing online conversations, and (3) sites not written in the English language. Two authors (R.M.W., L.K.S.) reviewed the 772 links, identifying 12 Web sites opposing childhood vaccinations. A secondary survey of all links leading from the 12 sites to other antivaccination sites identified 10 additional links resulting in a total of 22 sites for final data extraction. Of the final 22 sites, there were 16 from the United States, 2 from the United Kingdom, 2 from Australia, 1 from New Zealand, and 1 from France (text available in English). Only material present on the original Web site was evaluated. Links to other sites were excluded. For each site, each content and design item was classified as present or absent. Two authors (R.M.W., L.K.S.) reviewed 4 sites separately, with 100% interrater reliability. These authors reviewed the 18 remaining sites jointly. The total number of claims per site ranged from 2 to 11, with 18 (82%) of the sites exhibiting 7 or more of the 11 claims. Two sites with the fewest claims were created by medical researchers with publications in peer-reviewed medical journals. "Vaccines cause idiopathic illness." All of the sites included content suggesting that vaccines cause idiopathic illnesses. The most common illnesses ascribed to vaccination included: autism (specifically from measles/mumps/rubella [MMR] and/or diphtheria/pertussis/tetanus [DPT] vaccine), sudden infant death syndrome (SIDS), immune dysfunction, diabetes, neurologic disorders (including seizures, brain damage, learning disabilities, attention deficit disorder, antisocial behavior), and atopic disorders, including allergic rhinitis, eczema, and asthma. Eighteen (81%) of the sites alleged that vaccines are ineffective or produce temporary immunity. "Adverse Vaccine Reactions Are Underreported." Twenty-one (95%) sites argued that adverse vaccine reactions (or vaccine failure) are underreported, but reasons given for underreporting varied. The most common reason was that physicians fail to recognize delayed reactions as vaccine related or fail to report them. Others argued that agencies involved with vaccine production and regulation were purposefully covering up the truth. "Diseases Have Declined" and "Homeopathy Alternative." Sixteen sites (73%) stated that prior to the use of vaccinations these diseases had begun to decline due to improved nutrition and hygiene, and that vaccines were given undue credit for these declines. Homeopathy, alternative health, and natural methods of enhancing immunity, such as breastfeeding or proper diet, were promoted on many of these sites. Homeopathy was also endorsed as a means of reducing the severity of postvaccination reactions. Sites advocating homeopathy were often associated with statements attacking Pasteur and the germ theory of disease. "Vaccine Policy Is Motivated by Profit." The idea that vaccine policy is motivated by profit was found on 20 of the sites (91%). The general thesis was that vaccine manufacturers make enormous profits, which influences universal vaccination recommendations and promotes the cover-up of vaccine adverse effects. More extreme arguments posited that physicians are biased by financial inducements from vaccine manufacturers, especially in the form of gifts or research grants. "Violation of Civil Liberties." Seventeen (77%) of the sites mentioned civil liberty concerns associated with mandated vaccination. Electronic vaccine registries, designed to allow tracking of childhood immunizations, were attacked as an example of "Big Brother" intruding into the lives of citizens. "Use of Aborted Fetal Tissue." Seven (32%) of the sites raised the fact that viruses grown from cell cultures of aborted fetuses (lines MRC5 and WI-38) are used in varicella, rubella, and hepatitis A vaccines.24 Antivaccination sites raise both moral issues and concerns about adverse effects from injecting such materials into humans. Figure 2 shows the frequencies of the 10 design attributes we used to further characterize these sites. All sites had links to other antivaccination sites. Ten (45%) of the sites displayed links to authoritative provaccination sources such as the Centers for Disease Control and Prevention. Stories of children harmed by vaccines were very common, as was information on how to legally avoid vaccinations. Seven sites (32%) displayed pictures of menacing needles, and 5 sites (23%) displayed pictures of children allegedly harmed or killed by vaccine reactions. Fifty-five percent of the sites provided personal accounts written by parents who believed that their child was killed or permanently harmed by vaccination, and almost one fourth of the sites included pictures of the affected children. Such visual images of purported adverse consequences can be unsettling to parents facing vaccination decisions. In social psychology terms, these parents may be swayed by "false consensus bias," a tendency to rely on personal experience as opposed to scientific evidence. In essence, an individual's beliefs regarding vaccination are unduly swayed by personal and emotional anecdotes to the exclusion of evidence. In contrast, the once overwhelmingly apparent visual images of the benefits from vaccination have disappeared as their respective diseases—such as polio—have disappeared. This study is limited by the dynamic nature of the Internet, where entire Web sites appear and disappear or move to other "addresses" overnight. Defining the content of a site is also a problem. On the Internet, a document on another site, accessed by clicking on a link, is often no harder to reach than a document on the original site. This study looked only at pages on the original site, believing this implied more "ownership" of the material and provided a standardized method of assessing each site. The study was limited to English-language sites; therefore, the findings may not extend to antivaccination sites written in other languages. Vaccination is not risk free, but most in mainstream medicine agree that the benefits of vaccination outweigh the risks.29 While the majority of the public accepts immunization, it appears that increasing numbers of parents are seeking philosophical exemptions from vaccination for their children. For example, in Colorado the rate of philosophical exemptions from vaccination rose from 0.87% in 1988 to 1.87% in 1998, with the rate of religious exemption holding steady at about 0.2%.30 Although a few unimmunized individuals are most likely protected by herd immunity, growing numbers of unvaccinated individuals could eventually pose a risk to both themselves and society.31 We believe our study findings can help direct research aimed at more effectively addressing the concerns of individuals opposing childhood vaccination.